Tired of overhauling your bottom bracket, or replacing the bearings? 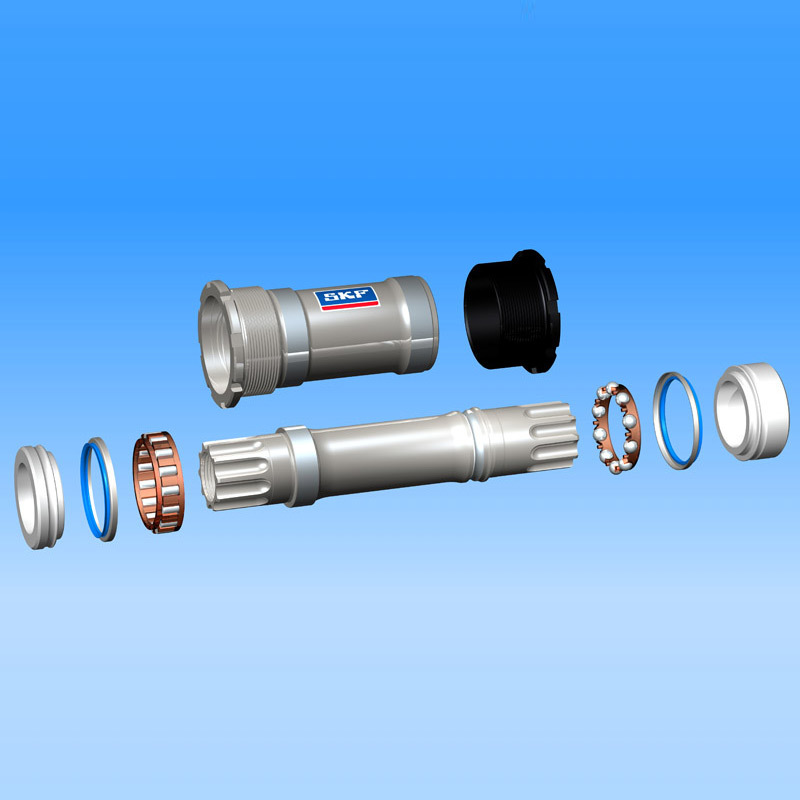 SKF designed their cartridge bottom bracket from the ground up to optimize strength and durability. The bearings run on races ground directly into the spindle and the shell, so SKF can use larger balls and rollers. For example, the non-drive-side balls measure 4.5 mm in diameter, whereas the standard cartridge bearings (61903) used in most other high-end cartridge bottom brackets use much smaller 2.8 mm balls. Smaller balls wear faster and can even break under high loads. SKF bottom brackets are made entirely from stainless steel and aluminum – even the bearings – so they won’t rust or corrode. However, stainless steel is more brittle than Cromoly, so these bottom brackets only meet the “City/Trekking Bike” standards for fatigue resistance, and not the highest “Racing Bike” standards to which our other components are designed. This is the same for many other high-end bottom brackets, which also use stainless steel spindles, and SKF bottom brackets perform fine under most riders, including very strong ones. However, if you tend to break components, we suggest you look elsewhere for a bottom bracket. 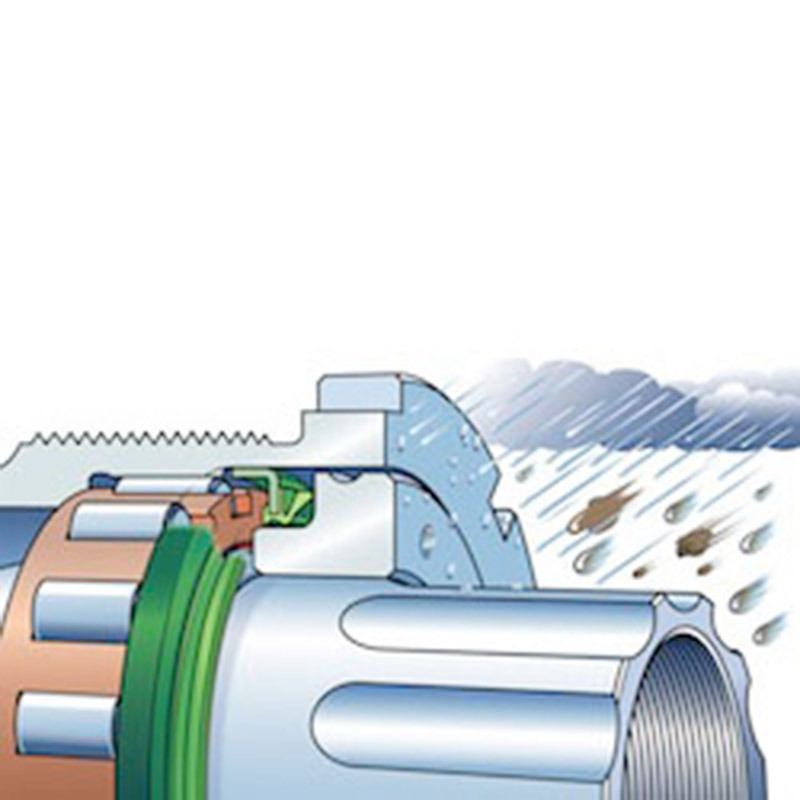 Installation is simple, and requires only an ISIS-type bottom bracket tool. Do not use a “single-hook” bottom bracket wrench, as it can crack the hardened stainless steel of the BB shell. See also our crank/bottom bracket compatibility chart.